NASHVILLE, TN: Beacon Transport, a leading Nashville-based truckload carrier company, recently released a series of short driver recruitment videos about the company and working for the company. As the company looks to hire additional drivers and increase brand awareness, the brief videos help potential drivers and clients better understand the growing company’s work environment, work ethic, and its commitment to its employees. Beacon Transport primarily services the southeast and midwest and is looking to hire highly qualified commercial truck drivers. With 185 trucks and 500 trailers, the irregular route provider is looking for candidates who take pride in their work. “They’re friendly here. Everybody knows who you are. Most companies know you by just a truck number. Here, they lead by first name,” says driver Doyle Williams in one of the videos. Beacon OTR drivers are assigned late model 670 Condo Volvos and work with experienced dispatchers. Employees enjoy excellent benefits, layover pay, referral bonuses, paid orientation, a passenger and pet policy, and more. Drivers and potential clients can learn more about Beacon Transport by viewing the company’s recently released informative videos. 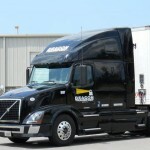 Beacon Transport, LLC is a Nashville truckload carrier company founded in June 2000 by Stan Pritchett and David Burns. Their goal was to create a successful truckload company by utilizing their years of combined experience in the transportation industry. It is the mission of Beacon Transport to develop and maintain a respectable, profitable reputation as a valuable truckload carrier. In order to achieve this goal, the company has built an office staff that is comprised of dedicated and experienced employees who provide the best customer service and dispatch services available. Beacon Transport is a truckload carrier company based in Nashville, TN that specializes in hauling non-hazardous dry freight throughout the Southeast, Midwest and Southwest.